When we bought our house in South Florida, one of its strongest selling points, at least for me, was that the large yard was undeveloped. There were a few shrubs near the house and a few succulents; but otherwise I had a clean canvas to work on! The first things I put in the ground were plants that I had been toting around in pots; the first plant that I bought, for my new house, was a coconut tree. 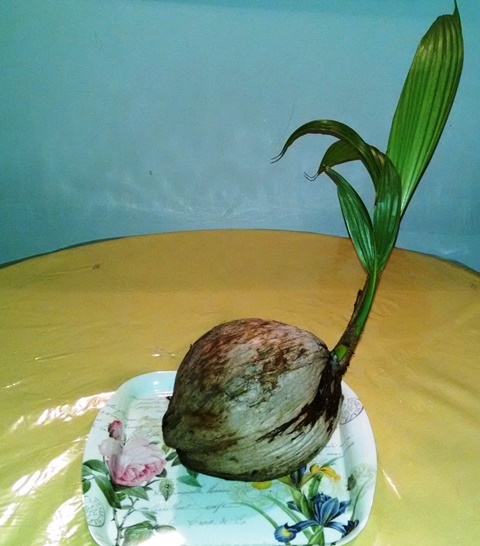 I have thoroughly enjoyed the coconut tree, both for its beauty and bounty. 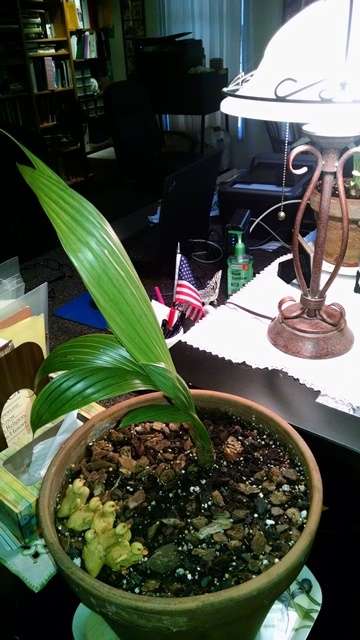 Since we started talking about moving, I have been hoping to find a sprouted coconut, resting somewhere, at the base, of my coconut tree; wanting to make sure I would be able to take a piece of him with me when we finally sell the house. I originally planted this tree when it was no bigger than the plant below. 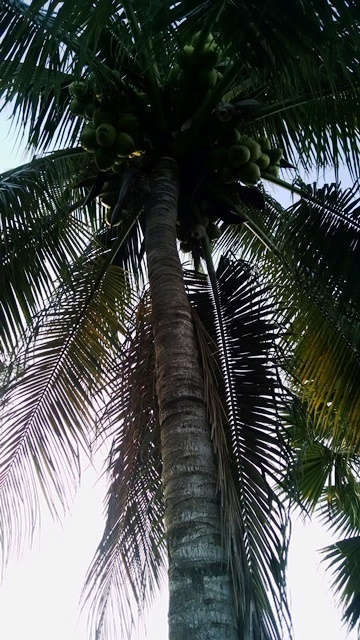 It is now 40 feet tall, and dutifully provides me with all of the coconuts I would like, and plenty to share. Recently, Kate finally found this baby, and of course I could not resist planting him in a pot, as at the moment I have no idea where his final home will be. For the moment, I am happy to have him in my office; and while the little ducks I have given him are not at all like our ducks in Florida, they along with the tree are a nice reminder, as the snow falls outside, that there are always warmer days ahead. This entry was posted on January 22, 2018 at 1:22 pm and is filed under Nature, SlideShow, Uncategorized. You can follow any responses to this entry through the RSS 2.0 feed.